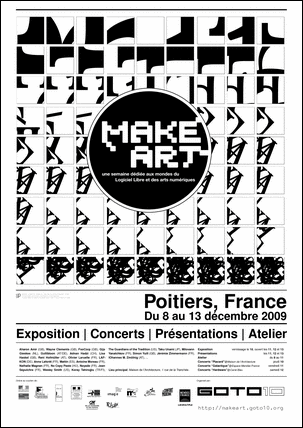 make art is an inter­na­tional fes­ti­val ded­i­cated to the inte­gra­tion of Free/Libre/Open Source Soft­ware (FLOSS) in dig­i­tal art. The fourth edi­tion of make art — What The Fork?! 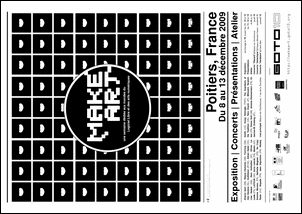 dis­trib­uted and open prac­tices in FLOSS art — will take place in Poitiers (FR), from the 8th to the 13th of Decem­ber 2009. Previous postRandomize Apache Next postLaTeX? WTF!